As Git source code versioning software uses tracked and untracked terms to track files. We untracked files are generally added newly to the repository but there may be some bulk files those are unnecessary to version. 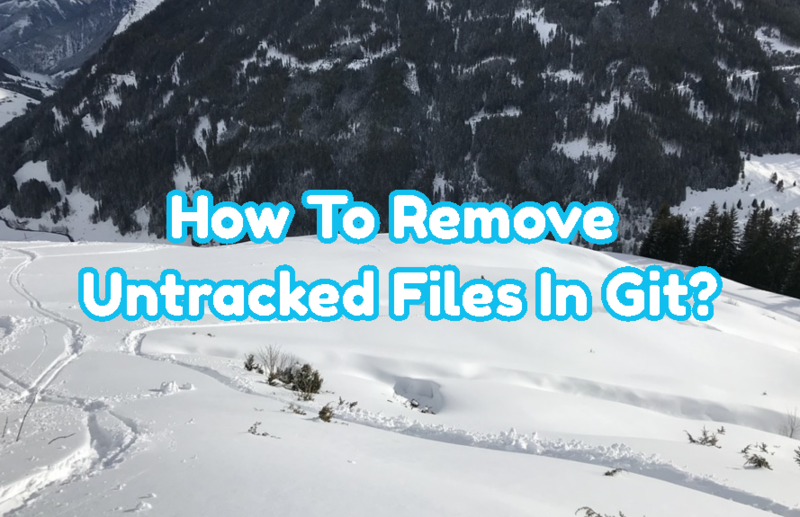 In this tutorial, we will learn different ways to remove untracked files with Git. Before deleting untracked files and folders we will list untracked files and folders. We will use clean command with the -n option like below. The most basic way to remove untracked files and folders is using clean git command with the -f option like below. -f means remove and clean forcibly without asking anything. If we just need to remove or delete untracked directories we shouşd use -d option with the remove command. -d simply means removing only untracked directories. If we just want to remove untracked files only we need to use -X option like below. Removing untracked files and directories may be a critical job where we can lose our latest work. So we can simulate or dry run removing untacked files with the --dry-run option like below.